The Phangan Beach Resort is situated on a secluded private cove in Baan Tai beach located on the southwest coast of Koh Phangan, next to an almost forgotten stretch of the most beautiful coastline the island has to offer. 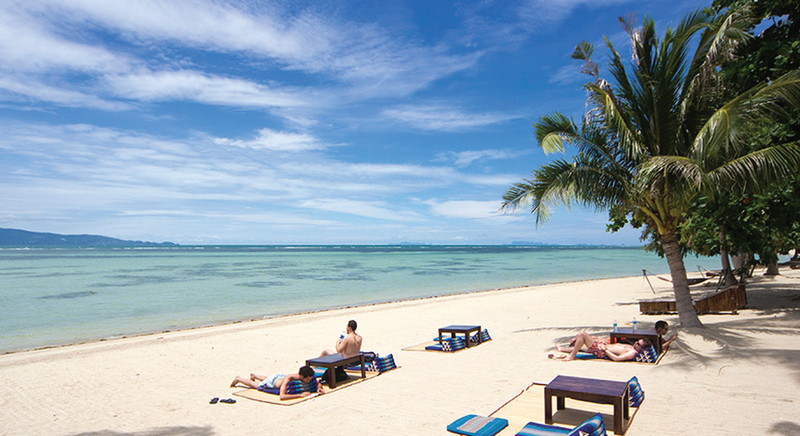 The “Phangan Beach Resort” will offer superb sunset views across to Koh Samui, the Angthong National Marine Park and out over the Gulf of Thailand. The resort is within easy reach of all the facilities that the island’s vibrant southwest coast has to offer on our doorstep. We can take the stress out of your dream wedding with our tailor made packages for all Weddings and Celebrations. We arrange everything for you so you can enjoy the moment and a wedding day you will cherish for ever. 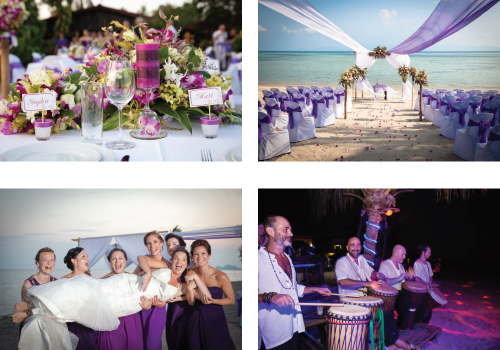 Contact us today to see if we can make your Beach Side Wedding a reality at Phangan Beach Resort. 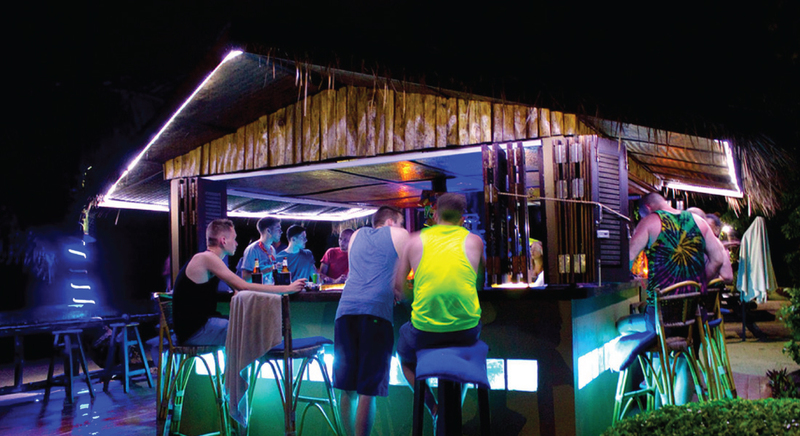 Me and my girlfriend visited here in May 2015 for the full moon party and was extremely happy with the service we received. The owner Andy had organised a pick up for us from the pier free of charge and we were greeted by one of their friendly staff in the reception as we arrived. 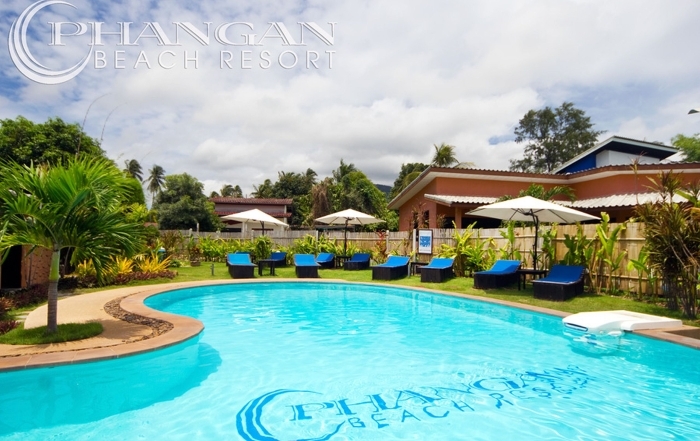 I found my stay at the phagan beach resort very relaxing and enjoyed all aspects of the resort. 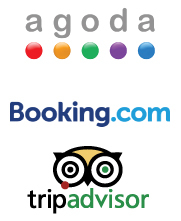 Upon arrival the staff were very welcoming and helpful with recommending things to do on the Island and how best to get about. 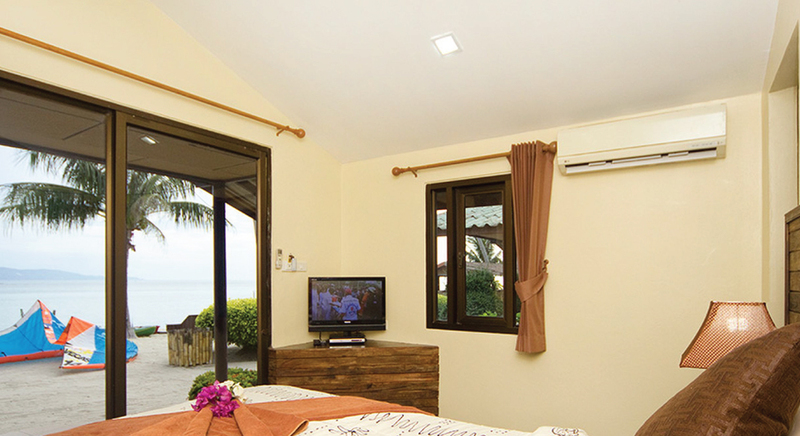 We stayed in two different rooms in our time there, the first was a modern air conditioned beach side bungalow and the second was a fan beach side bungalow both were very reasonably priced and gave us the option of luxury or budget accommodation. The food was very good and the menu had a good selection of Thai and western food. I highly recommend this place to stay and would definitely go back here if I return to Thailand in the future. We stayed for a few days and decided to extend our stay as we were having a great time. At first we had the two beach front rooms B3 and B4 which had lovely mattresses and tv, this was luxury compared to other places we had stayed and at a very reasonable price. The resort had a wide mixer of guests from groups to couples of all ages and caters for all. Wether staying here for full moon or for a nice chilled break you can’t go wrong! The staff we very friendly and left us to enjoy our time. Around full moon you can also enjoy music being played by the resident DJ Tony P to get you in the right mood for an amazing night of partying! Highly recommend staying here it’s what Thailand is all about!!! 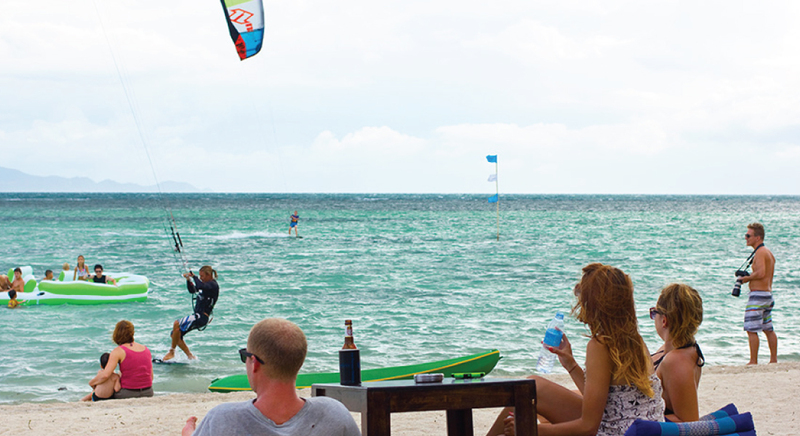 We chose this place as we expected to have wind for kitesurfing. The wind was poor most of the time but the place was great. We have seen a few places on the island and this is where we got the best combination of rooms on the beach, easy going resort and good food and service.